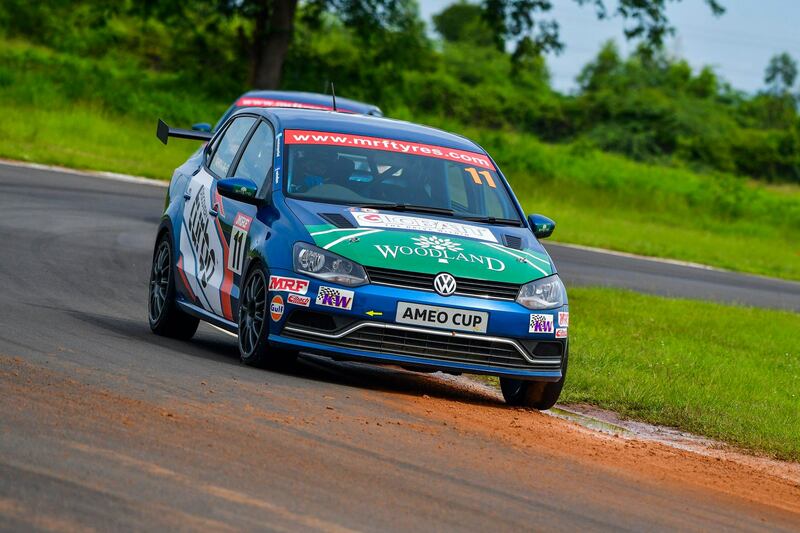 With the completion of Round 4, Volkswagen Motorsport India marks the end of this years Ameo Cup. The Ameo cup is an one make championship that provides a gateway for motor sports talents to international motor sport pathway. This year’s competition saw two participants from Bangladesh, Affan Sadat Safwan and Avik Anwar. End of the championship both our drivers managed solid positions in the overall drivers’ championship table, Avik Anwar 8th with 228 points and Affan Sadat Safwan finished 9th with 227 points. 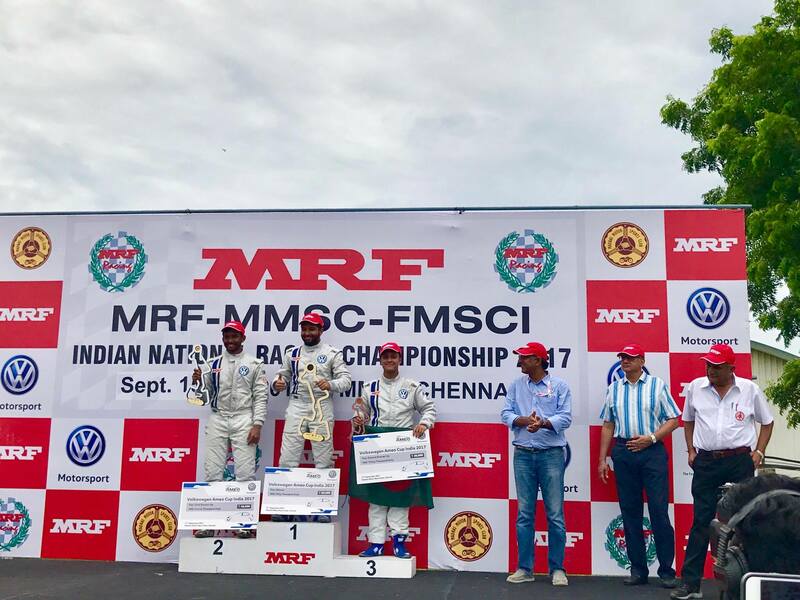 On the other hand, in the junior championship, consisting new motor sports freshers, Affan managed to seal the runner up slot where Delhi boy Anmol Singh clinched the junior championship. Overall through out the competition Avik Anwar was consistent and finished all 10 races without any DNF, but one of the race result got DQ, Affan finished 8 races out of 10. This is quiet impressive stat for both the drivers given that they come from a country where there is no existence of proper legal motor sport. Race 1 – Affan managed a 9th fastest time in the qualifying where as Avik managed 14th. All the drivers in the grid seemed to be hungry for better result and the competition was in peak level. After a tough race Affan finished the Race in 8th place and Avik in 10th. Race 2- Thanks to the top 8 reverse grid system, that saw Affan starting from the pole position for the race 2. The race marked a proud moment for the country when Affan crossed the checkered flag in 3rd spot and bagging a podium finish. Avik on the other hand starting from 10th and managed to climb up to 4th and managed finish the race behind Affan, but later the race authorities decided to disqualify his 4th place finish from the Race 2 result due to a jump start. Race 3- The last for this season marked tough race both our boys, Avik Anwar finishing 14th and Affan Sadat Safwan had to retire from the race after involving in a heavy shunt that damaged his car severely. The Ameo Cup laid down an important chapter in the Bangladesh Motorsport scene. For the first time two drivers from Bangladesh participated and performed solid in an international championship. With both the drivers adding experience in to their motor sport resume and racing license that may lead to more international opportunities for both the drivers. We hope that many more motor sport enthusiasts from Bangladesh follow the foot steps of Avik and Affan and get into proper motor sports and represent the country in different arena of racing. Although this motorsport event took place miles away from our home but everyone back here were all very excited to see both of our driver’s progress in the races. We have motorsport loving communities and people who aspire to be in this sector. This race event was definitely a milestone for our country . Last but not the least, we would like to thank our sponsors (Car House Limited, Globatt, HAIDA, J.A.N Associates, A.T. Haque Limited) for making it possible for us bringing you all the updates from the Ameo Cup.